Tirupati, 7 November 2018: A new Hanumantha Vahanam is donated to Sri Kodanda Rama Swamy temple in Tirupati on Wednesday. 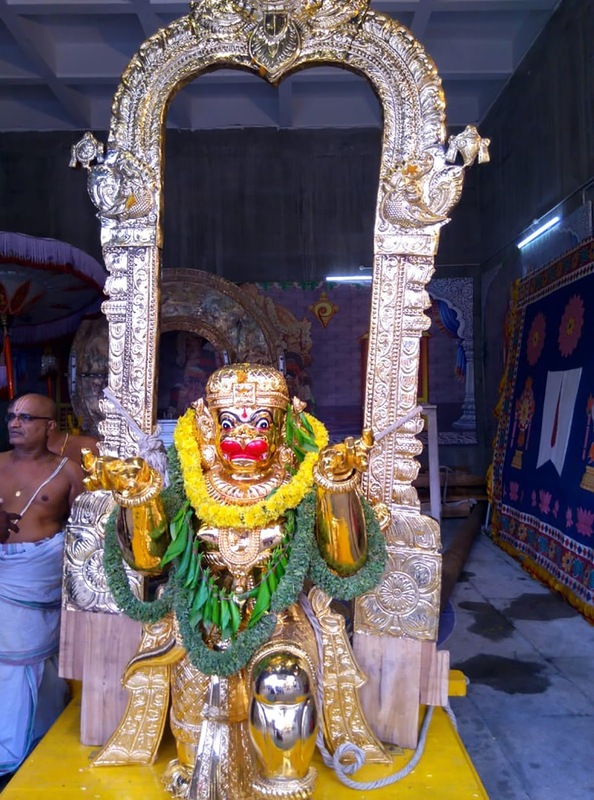 A NRI devotee Sri Seshadri Ranga Swamy offered this precious donation made at a cost of Rs.5lakhs. Special puja was performed in front the temple. 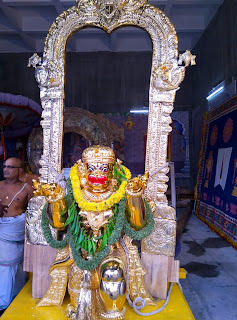 Henceforth this new vahanam will be used during annual brahmotsavams and in monthly Amavasya Hanumantha Vahana seva. 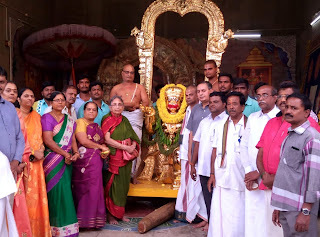 Temple DyEO Sri EC Sridhar, AEO Sri Tirumalaiah, Superintendent Sri Munikrishna Reddy were also present.